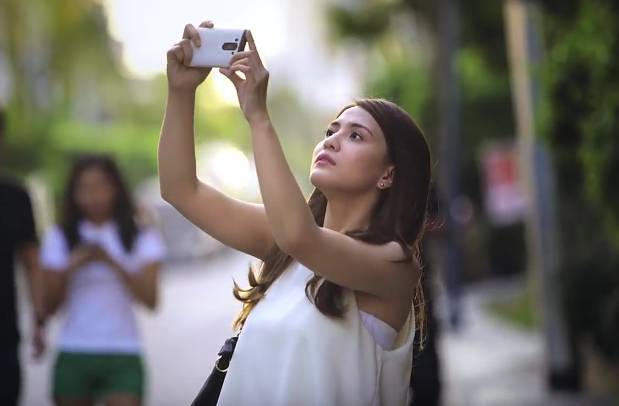 (SPOT.ph) This past summer, the Philippines saw its highest temperatures ever recorded. It was during this time that Vaseline put up a live billboard with real leaves, along one of the busiest thoroughfares in Metro Manila, to show just how drying the sun can be. Made with panels upon panels of real leaves, half of the billboard was coated with Vaseline Petroleum Jelly and left the other half as is. After a few days of constant exposure to the heat and pollution of C5, can you guess what happened? With the healing power of Vaseline, the leaves stayed green, vibrant, and livelier compared to those that were untreated and left unprotected from harsh elements. Now, if you think that with summer over, your skin is safe from drying—think again! The cold can actually cause skin dryness due to low humidity. And as the air around dries up, so does your skin. The good new is that, from the very same jelly applied to the live billboard, to a line of lotions that can heal sensitive or dry skin, Vaseline’s healing products are just what you need to help you fight one of the world’s most common skin conditions: xerosis a.k.a. rough, dry skin that can sometimes even cause cracking. New Vaseline Lotion with Vaseline Jelly promotes deep healing from within--it has a moisture and whitening range that cater to a variety of skin needs. 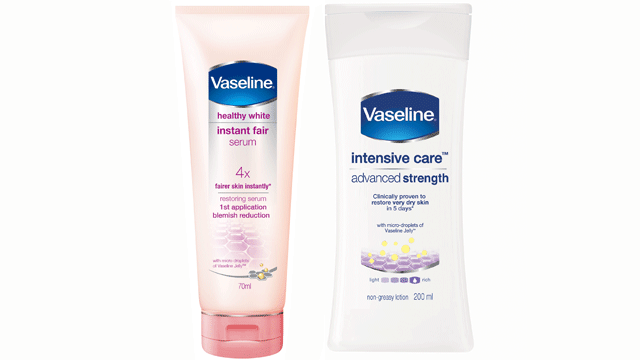 Two of Vaseline's newest variants, the Advanced Strength Lotion and Instant Fair Water-based Serum, can heal and lighten dry skin in as fast as five days. It's really just a matter of determining which product you need, and the rest is up to Vaseline. Visit www.vaseline.ph/skin-index-test to know more about how you can heal dry skin.